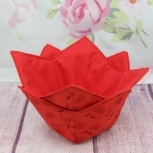 Red dandelion print design cup cozy is made from 100% cotton fabric, thread, and batting which make them microwave safe. 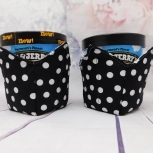 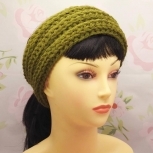 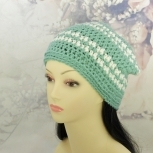 These cozy's can go into the microwave when heating up cup of noodles or other items. 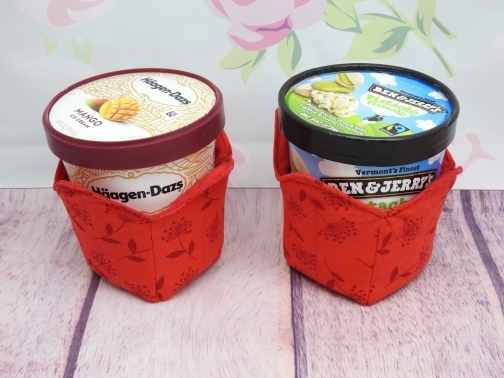 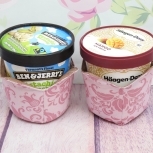 They can also keep your hands from freezing when snuggled up on the couch eating a pint of ice cream.